Valley Treasures is located in the western part of Schuylkill County. 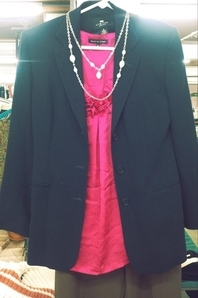 It is a thrift shop that carries an array of products. 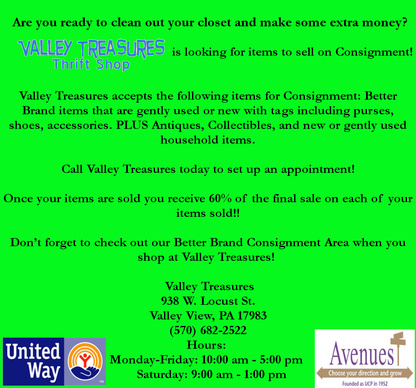 Valley treasures offers a large selection to it's customers! Contact Holly Keff for more information!